Fortunately, nature provides some examples of materials that interact very differently with water and oil. "Take the lotus leaf, for example," said Ilin Sadeghi, an engineering graduate student in Asatekin's lab and first author of the study. "The leaf surface is hydrophobic, which means it keeps water off so effectively that the leaf never gets wet—water just beads up on the surface. But it is also very oleophilic—if we place an organic liquid like oil on the surface, it spreads rapidly across the leaf. By modeling on nature, we can engineer surface chemistry and morphology go make water-repelling, super-oleophilic filter materials." 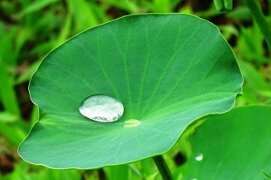 The lotus leaf achieves its dual behavior with a combination of a waxy surface chemistry and a nanostructured texture on the surface. The textured surface traps air in tiny pockets, making it difficult for water to make contact with the leaf because of water's high surface tension, forming droplets. Creating an oil-filtering membrane could utilize a similar combination of surface chemistry and texture to separate oil from water. "We created this membrane material by blending a common polymer matrix used in filters—polyvinylidene fluoride or PVDF—with a functional polymer; we call it PFDMA," said Cebe. 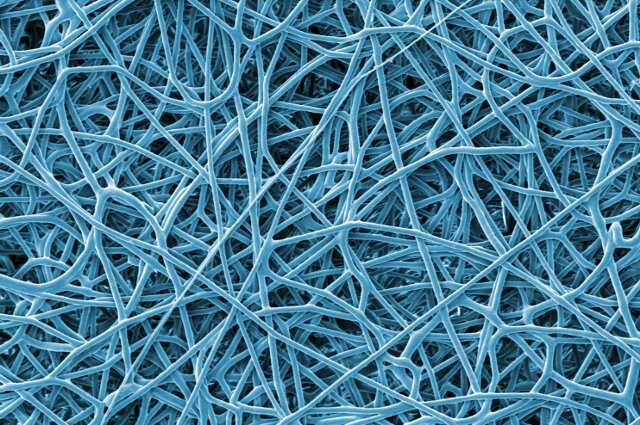 "We can change the behavior of the filter membrane by changing the functional polymer." The oil-removing PVDF-PFDMA membranes, which allow oil and organic solvents to pass through, don't foul up like water-removing membranes tend to do, and could therefore be applied to long-term, industrial-scale applications. Using different additive polymers could tune the filter's properties for different applications, from oil spill cleanups to water purification. This material could be incredibly helpful in the chemistry lab as well, allowing for easy separation of aqueous components.